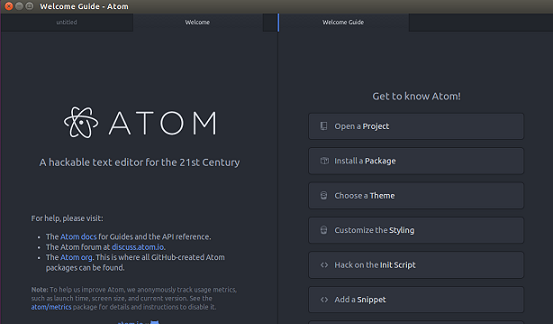 Atom is GitHub’s developed full featured, cross platform, hackable text editor. Its known to be highly customizable text editor, you can customize it to achieve anything that a text editor can do. Its high productive text editor, easy to use and graphically eye candy. Recently Atom Editor reached 1.0 version. That’s topic of our article today, its prominent features and how to install it on Ubuntu distro. Here are some of the noteworthy/prominent features of this text editor that makes you fall in love with this little awesome piece of software. 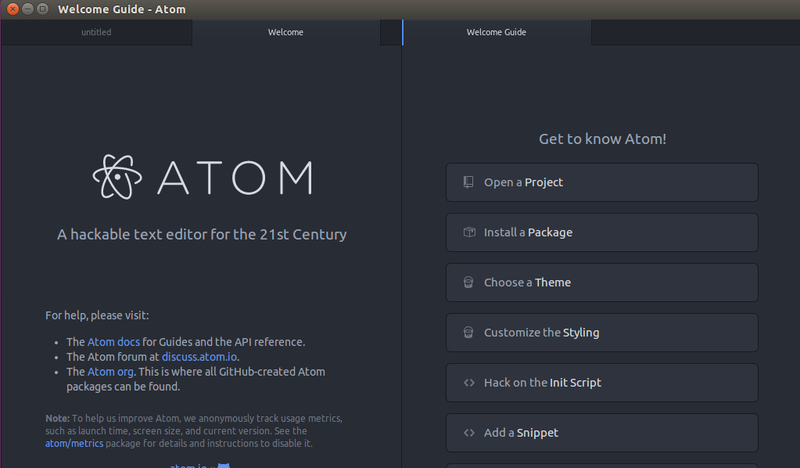 Atom looks promising from developer’s point of view, You can add support for Chrome development Tools and can customize this text editor to easily develop your themes and packages. As already mentioned in the introduction paragraph, Atom is highly customizable, you can add packages to extend its functionality, hundreds of packages are available online which can add more feathers to working and look of this editor. The built-in support for programming languages and syntax highlightening is another impressive feature for developers. In order to install new release of Atom on your ubuntu system, first download its installer file from GIT hub. Here run following command to install the new Atom release. That’s all, your Atom editor is installed now. Easy? Isn’t it, run following command on the terminal to launch it. The amount of features and easy of use Atom offers is impressive, this editor surely going to play an important role in the world of text editors and already got attention and love of millions of users.